If using a ready made roll out crust, poke holes in crust and bake @ 350° until light golden brown. (I just follow directions on box.) Cook pudding (both boxes) and use less milk for pie making. Directions are on box. Toast about 1 cup of coconut in skillet with a little bit of butter - maybe 1 TBS. Let cool. Pour pudding into cooled pie shell and put it in the fridge until set. (A few hours) Mix about 1/2 of the toasted coconut with the whipped cream* and spread over pudding. Sprinkle remaining toasted coconut on top. I usually put back in fridge for a little bit after this last step. *To make homemade whipped cream, I buy a pint of whipping cream, add about 2 TBSP of sugar, and beat with a mixer on high until cream is nice and stiff. Tastes so much better than Cool Whip. Linked to Tasty Tuesday and Works for Me Wednesday. Written by: Robert E. Owen, M.A. I bleed black and white. I love to read. I like to have a book handy at all times, and I am especially fond of literature and all things fiction. I've been reading novels and exposing my children to all kinds of books since they were little, so I figured they would all naturally follow in my footsteps. Well, so far my first and last child have. That leaves me with my middle child. He's always loved listening to books being read aloud, but when the time came for him to start reading chapter books on his own, it became quite a painful experience for us both! Phonetically speaking, my son could read very well, so I just couldn't understand why he didn't like to read. In second grade, I assigned him his first comprehension guide to accompany the first four books in The Boxcar Children series. My oldest son never had a problem with comprehension guides, so why should he, right? But, I soon came to realize that my middle son wasn't just being difficult, as he sometimes could be. He really was struggling with reading lengthy passages and writing answers to questions, especially the "how" and "why" ones. It was challenging, but I tried to include much variety when it came to reading and literature, and I cut back on the number of novels I assigned. I learned to focus on his strengths like math and hands-on activities. I also realized he did much better when he could answer questions orally. 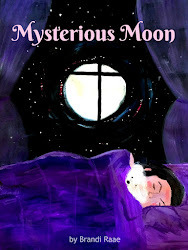 My middle son is now in fourth grade, and while he enjoys reading more than he did a couple of years ago, he still prefers to read books like Diary of the Wimpy Kid and Goosebumps - entertaining but not exactly literature worthy. This brings me to Inference Jones. It's been a wonderful addition to my fourth grade son's homeschool schedule. For the past few weeks for his reading/literature subject, I have assigned one activity to be completed each day. It has added the variety he needs, and he's truly enjoyed it - no complaints at all! So, what exactly is Inference Jones? "Inference Jones provides short, fun, and easy-to-use activities that improve critical reading and higher order thinking by developing the student’s ability to draw inferences from written text. Research shows inferential reasoning is a prerequisite component to superior reading comprehension." Inference Jones covers various reading comprehension and literary analysis skills. A chart is provided which includes the title of each story and the skills represented. I was given a PDF file to review, but you can order the 48-page paperback for $11.99 online. Pages are reproducible and perforated for easy tearing. An answer key is provided in the back of the book. Inference Jones can be easily adapted to fit into any homeschool schedule. Do it every day for a few weeks like we did, or assign a couple a week to spice things up. My son and I recommend it wholeheartedly! See what other Crew members said about Inference Jones and other products from The Critical Thinking Co.™ here. I utterly dreaded doing science experiments when I was in school, especially when the Science Fair rolled around every year and I had to somehow come up with my own. Wasn't exactly my special gift. For the most part, I enjoy doing science experiments now as a homeschool mom of three. I have to admit, though, sometimes it can get tricky trying to follow a lengthy, written, step-by-step procedure. Being able to watch experiments makes doing them super easy! Scienceandmath.com makes this possible with their Amazing Science! Volume 1 DVD set. 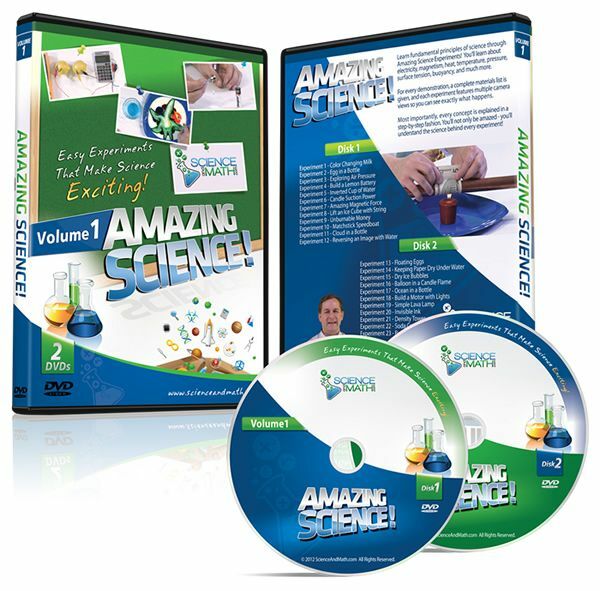 It comes with two DVDs featuring 23 exciting and doable experiments. The experiments are brought to life before your very eyes and are presented clearly in step-by-step fashion. A complete list of materials is given at the beginning of each experiment, and most of the time the materials can be found around the house or purchased inexpensively. The speaker also tells you where you can find certain items that you might not have on hand. Not only will you be able to watch the experiments, you will learn the "why" behind each and every concept demonstrated. You will learn basic scientific principles about electricity, chemistry, magnetism, physics, surface tension, heat, air pressure, temperature, and more. The length of each experiment varies but most seem to run for about 15-25 minutes. Some of the science experiments include: Color Changing Milk, Keep Paper Dry Underwater, Build a Lemon Battery, Inverted Cup of Water, Simple Lava Lamp, and Unburnable Money. A complete list can be viewed here. A few of the experiments can be viewed online such as this one - Balloon in a Candle Flame. For other examples, visit the homepage. My children enjoyed taking a break from their regular science routine to watch these engaging videos. It was especially satisfying to see them actually doing the experiments because they wanted to. I watched the first DVD with my children, but they finished the second one on their own and even did a few of the experiments without my help. and my youngest exploring surface tension with milk, soap, and food coloring. I recommend Amazing Science! Volume 1 for a fun, scientific learning experience. There are experiments for all ages and most are pretty easy to replicate. It is perfect for homeschoolers but also for children who attend school outside the home and need good ideas for science projects. It would also be a great purchase for summertime providing kids with exciting, educational activities when it's too hot to play outside. See what other Crew members had to say here. 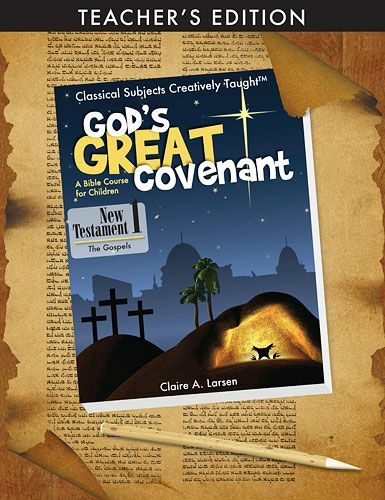 I was thrilled to be chosen to review God's Great Covenant, New Testament - Book One since my children and I already happen to be reading through the book of Luke during our Bible time. As a busy homeschool mom of three, I don't always have time to thoroughly research every passage of Scripture we read, so receiving this curriculum has been such a timely blessing! This classical Bible course, written for students in grades 4 and up, offers an in-depth, 36-week study of the Gospels. It contains 4 units, each one focusing on one of these names of Jesus: The Son of Man, God's Servant, The Messiah, and The Son of God. There are 9 chapters in each unit, and each chapter features a memory page, story time, and various worksheets. Each memory page includes the chapter's theme,Scripture to be read, Scripture memory passage, key facts, and prophecy fulfilled. 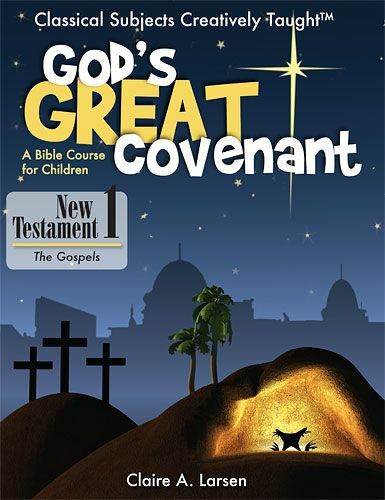 During story time, the author retells a biblical account according to the chapter's theme, which may, though not always, include references from all of the Gospels. For example, in chapter 3 of the first unit, the theme is The Birth of Jesus. During this 2-page retelling of Jesus' birth, Scripture is quoted or referenced 7 times. References are marked by small numbers. At the bottom of the page, you will find the numbers that appeared throughout the story which note the correlating Bible verses. Six of the references are from Luke while one is from Micah. So, here, only one Gospel is referenced. In the worksheet section, children will review what they've learned by answering questions, filling in blanks, unscrambling words, labeling maps, completing crossword puzzles, etc. 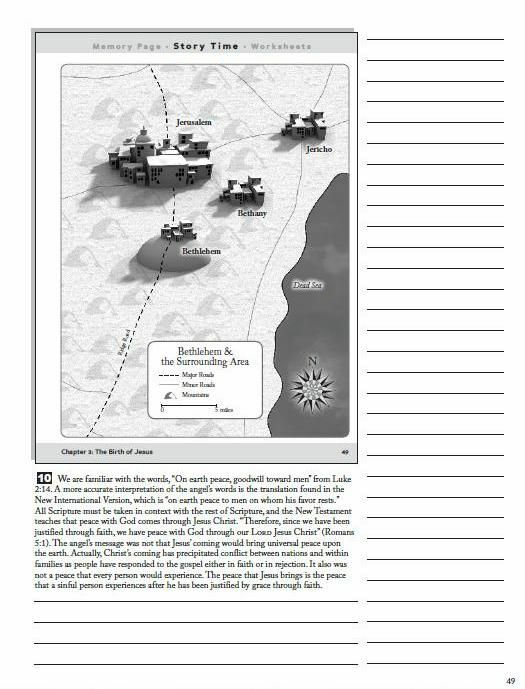 The last chapter in each unit is mostly a review of everything learned in that particular unit, but children will also get a sneak preview of what's to come in the next unit. 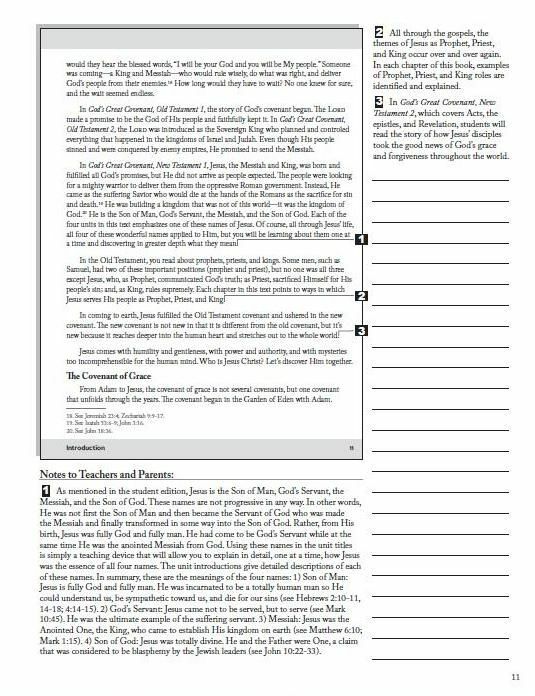 Several unit review worksheets are provided here as well as a memory passage worksheet, a devotional guide, and Simon's World. In reading Simon's World, children will gain a better understanding of what life was like during the time of Jesus. Through fun and engaging stories, Simon, a fictional character living in the fictional village of Jareth, gives a first person account of his daily life in a Jewish village. Along with an answer key, the Teacher's Edition contains the same information and follows the same format as the student book. I really like the fact that the page numbers match in both books! The Teacher's Edition also includes detailed notes in the margins "to expand upon the historical, geographical, cultural, and theological concepts introduced in the text." There is also space to write your own notes if you choose to do so. Because of all the extra information, the font is smaller in the Teacher's Edition. Below are two examples from the Teacher's Edition so you can get an idea of what the pages look like. You can also view more detailed examples in PDF format of both books here. Personally, I am very impressed with the quality of this Bible curriculum, however, my children do not seem to share my enthusiasm. I will do my best to explain why and what changes I will try to implement in order to make this course work for my family. It's just too good to be sitting on a shelf somewhere! First of all, our usual morning Bible time consists of me reading a passage of Scripture - we tend to read through and focus on one book at a time. We discuss what we read, pray together, and recite our memory verses for the week. This takes about thirty minutes. My first mistake was using God's Great Covenant in addition to our usual morning devotion. It was just too much. But, when I tried replacing our usual devotion time with God's Great Covenant, my kids missed our usual way of doing things. I was certainly having difficulty making this work! My second mistake was spending way too much time on all of the introductions at the beginning of this course. There are six introductions: Introduction, Historical and Political Introduction, Chronological Introduction, Geographical Introduction, Religious Introduction, and Daily Life Introduction: Welcome to Simon's World. While I was relishing the wealth of information, my children were becoming bored with it. I expected this from my daughter, who is only six, but not from my boys who are ten and twelve. Reading and studying the Bible are extremely important, but I have tried not to make it "just another subject" in our homeschool. 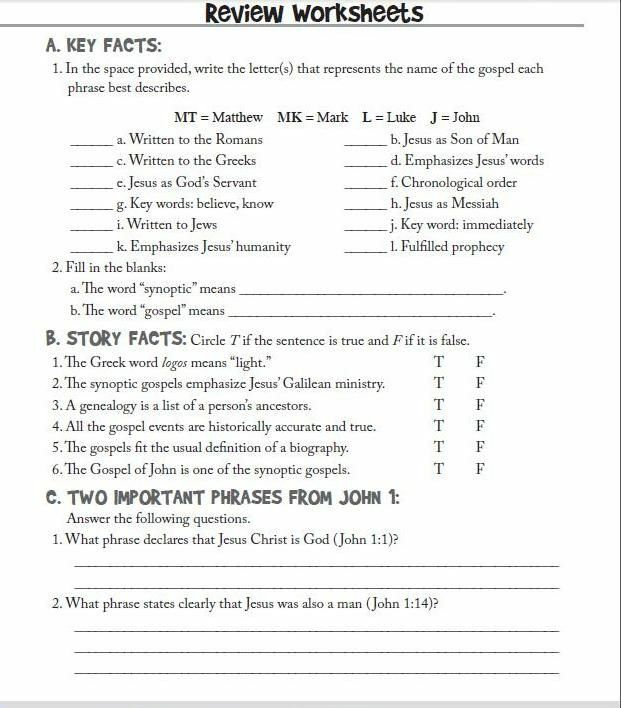 I've always wanted my kids to see our family's faith as a relationship with Jesus and a way of life - I guess I have succeeded because both of my boys were seeing this curriculum as "just another subject" with worksheets to be completed. I know it's not that they don't enjoy doing Bible studies because they both love the boys' Bible study they attend through our church. I am thinking it must be the fact that God's Great Covenant is associated with "school" and is more of a have-to-do than a want-to-do. It really boils down to the fact that it is more work in the Bible department than they are used to. Going over the worksheet portion orally seemed to really help with this problem. The kids seemed to enjoy seeing who could be the first to shout out answers to questions. My third mistake was trying to make it work as a family read-aloud Bible study reading at the intended pace. Being that it is a very comprehensive curriculum, as a whole, it isn't suited for younger children. Parts of it, like the stories and Simon's World, kept my daughter's attention just fine, though. It would be a great study for children who are used to working with Bible curricula. 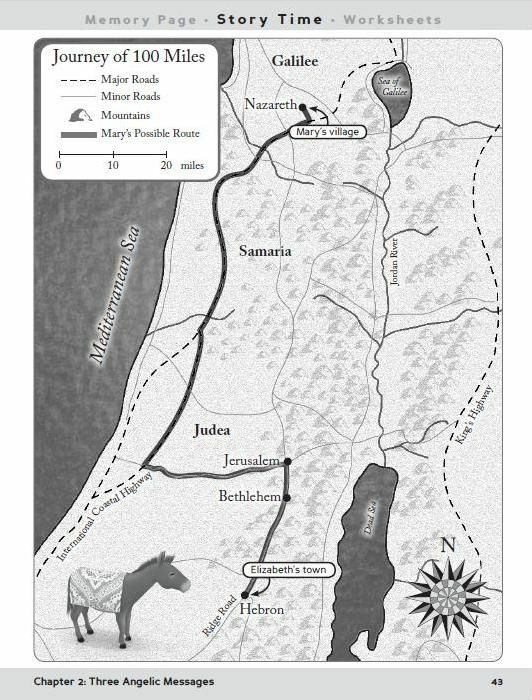 The Teacher's Edition provides excellent factual information about the history, geography, and culture during the time of Jesus. It does a great job of connecting the four Gospels. It also does a great job of connecting the Old Testament and the New Testament showing the purpose and fulfillment of God's covenant. Simon's World is fun and really makes you feel connected to this time period. Like many others, I've been swept up in The Hunger Games whirlwind. After the first few chapters of the first book, I was hooked. Plain and simple. HOOKED! Heads up: If you haven't read the Hunger Games and want to, you may not want to read this post. While consumed with the second book, Catching Fire, I was struck by Haymitch's sober advice to Katniss before she entered the arena for the second time: "You just remember who the enemy is," Haymitch says. "That's all." Being thrown into an arena where there can be only one survivor would make it easy to focus on the other 23 tributes as enemies, but being the winner of The Hunger Games guarantees two things: more Hunger Games the next year, and the real enemy remains undefeated. Haymitch's advice was meant to spur Katniss on to accept her higher calling as the Mocking Jay and to keep her focus on the seemingly untouchable, yet very real enemy. The enemy in the book, in my opinion, wasn't necessarily one person but the idea, the desire of ultimate power, though there was definitely one if not more characters who embodied this evil. (What was it Galadriel said? "And nine, nine rings were gifted to the race of Men, who above all else desire power.") I think Haymitch's advice helped Katniss persevere until the end. Thankfully, the devil's ultimate destruction is foretold in Revelation, but it's nice to know we haven't been left helpless in the meantime! And anyone who I may perceive as an earthly enemy - well, God's Word addresses this quite clearly. Wow, those are tough words. I fail often. 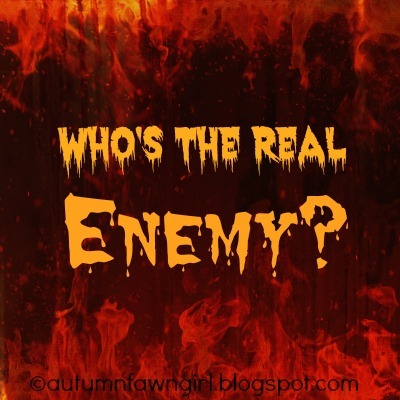 I lose sight of who the real enemy is. But by God's grace may I persevere to the end and claim victory in Jesus' name! All I have to say is: Great advice, Haymitch! Pin It Now! The last time we had ice cream at our house, I tried this tip and loved it. Not only is it fun and pretty, it's far less messy than scooping ice cream out of the tub every time. I found original idea here. Freeze ice cream in muffin tins for individual, mess free scoops! What you will need: muffin tin, paper baking cups, ice cream, and large freezer bag. What you will do: Arrange paper cups in muffin tin. Fill paper cups with ice cream - ice cream scooper works best for this. Place entire muffin tin in the freezer until ice cream is firm. Ice cream is then ready to serve or you can place the ice cream-filled paper baking cups in a large freezer bag to use at a later time. The paper baking cups are super easy to remove from the frozen ice cream so you can fill parfait glasses, bowls, or whatever with the individual scoops. Or you can eat them just like my daughter did - like a cupcake! Happy Easter! Praise God for His mercy providing me, a sinner, with a way to be reconciled to a Holy God. Pin It Now! Finding excellent writing curricula has been quite a challenge as a homeschool mom. While it is one of my favorite things to do, it isn't my favorite subject to teach or grade! Years ago I did finally settle on a curriculum that combined English and Writing, but since I haven't been and still am not completely satisfied with the writing part, I supplement with other writing materials here and there. Supplementing keeps my children somewhat interested in writing and diverts their attention from the so many "canned" writing assignments they're used to. Of course, children do need to learn how to write reports, research papers, and friendly letters, but these kinds of assignments over and over again can get pretty boring. It can be boring to read as well, and I often fall into the get-crazy-with-the-red-pen trap marking everything that's wrong instead of patiently encouraging and challenging them to improve. I became very excited about reviewing this writing curriculum once I began reading all about it. I completely agree with Write with World that "most importantly, they need to enjoy what they are doing: to write well, young writers must develop a love and excitement for writing." So, what is Write with World? The writers of Write with World believe that writing is a gift from God and their goal is to help students learn how to use words well and write with purpose. As stated on the website, it's a two-year middle school writing curriculum developed by the publishers of God's World News, and WORLD Magazine. Students anywhere in grades 6-9 can use it. It will also work well for highschool students who haven't had much training in writing. Write with World consists of separate teacher and student books for the first and second year and a web site coming in September 2012 that will include updated examples, writing prompts, published student work, and a helpful teacher forum. The book itself is comprised of 4 units, 4 lessons in each unit, and 5 "capsules" (concepts) in each lesson. So, for a 36-week school year, 9 weeks will be spent on each unit. You can view a sample lesson in PDF format here. Real, nationally recognized professors, journalists, and editors have teamed up to help students become effective writers. Students can actually write with a purpose in the hope of having their work published online. Students can also belong to a community of writers in which they can read advice and commentary from published writers. You can read about the authors of Write with World here. Write with World requires students to think and make choices, not just follow a formula. Grammar will not be learned as standalone rules, but students will learn certain concepts and then apply these lessons to their writing. Assignments emphasize purpose, role, and audience and ask students to engage the world around them. Assignments will also be updated to include current topics that appear in WORLD Magazine and God's World News. Another great feature is that most lessons give teachers and students flexibility by offering multiple assignments from which to choose. There is so much more that makes this curriculum unique, but I encourage you to get a good idea of what this curriculum is all about by reading the same General Introduction that is in the teacher's manual. 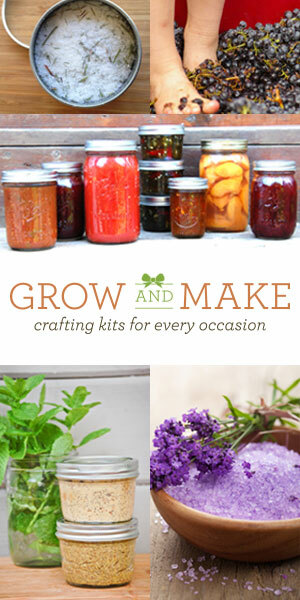 For a more thorough look at why this curriculum was created, you can click here. It costs $95 per year,which includes a student book and parent/teacher book. If you purchase both first and second year books together, the cost is $165 - a savings of $25! 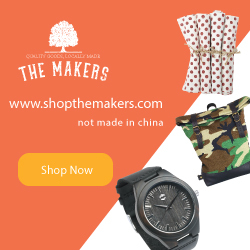 Purchase includes access to the user website which will be available this fall. I am really looking forward to this part! Will you need additional supplies? As far as I can tell, your child/student will need a notebook for recording his/her work. Having copies of either God's World News or WORLD Magazine will be beneficial but aren't totally necessary. I typically don't subscribe to magazines, but I am considering purchasing Top Story - God's World News for middle schoolers - to go with this curriculum. I also plan on using the web sites, www.gwnews.com, and www.worldmag.com. Will you need a separate grammar curriculum? "Grammar: You don't need a separate grammar curriculum and we assume that people will not use one. However, I have had one Christian school teacher say that they would want to use an additional grammar curriculum with it, so I guess it depends on how much you want (or need, in the case of your children) to augment that. Perhaps in a classroom setting there is a greater range of students and the need for more measured accountability." "We've chosen to tackle the top 20 grammar errors made by U.S. college students (based on Andrea Lunsford's research). We cover 19 of them (all except #6). Additionally, we included a few other common problems that grew naturally out of the lessons or that we thought were important: parallelism, when to use I/me, apostrophes and contractions, and use of quotation marks. Our philosophy is that exercises are not the best way to teach grammar; grammar is best learned in the context of students' own writing when possible. Ultimately, good grammar helps improve style, as well. The lessons are short and not comprehensive, but they focus on key issues with which real students struggle." 4.1 when to use "I" and "me"
How am I personally using Write with World? Like I mentioned earlier, I am excited about this writing curriculum! I have read the General Introduction, General Overview, and the Detailed Overview in the teacher's manual which is packed with valuable information. I have also read through the first lesson and skimmed over much of the book. I gave the student book to my 7th grade son and asked him to read the introduction and complete the first assignment. I wanted him to get a feel for the curriculum and give me his honest opinion about switching from our current English/Writing program to this one. He really seems to think this is going to be a great fit! So, I am taking the plunge - we are saying goodbye to grammar drudgery and canned writing! Write with World is officially our new writing program, and I am hopeful this will be the answer to our writing blues. Since it is so late in the school year, I will have my son start fresh with Write with World this fall when he begins 8th grade. To see if this will be a fit for your child in middle school visit www.writewithworld.com. See what other Crew members said about Write with World here. It is definitely an easy way to get more greens in your kids' diets!